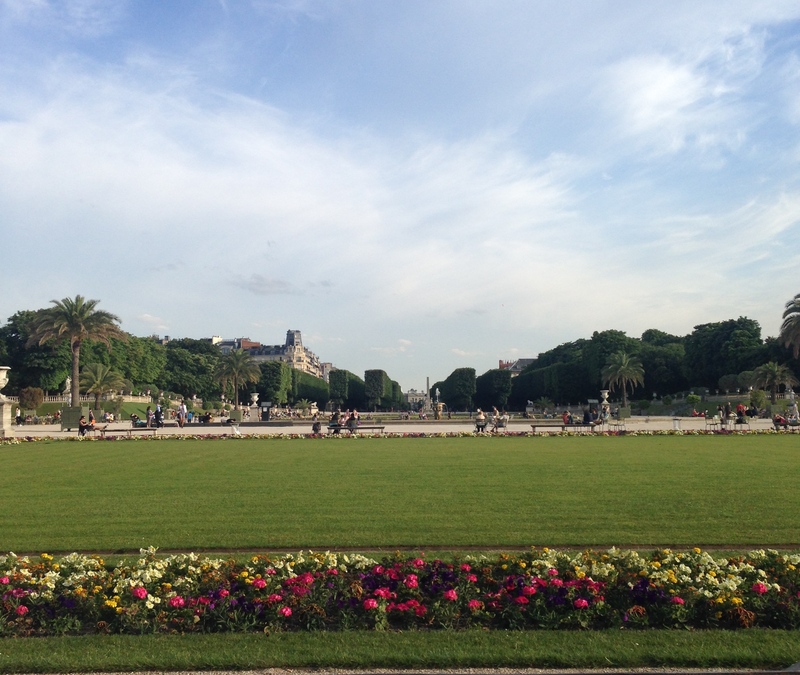 For a city that was planned to attract tourists, the gardens of Paris have been a pubic display of its grandeur. The well-manicured Jardin du Luxembourg and Jardin des Tuileries invite locals and tourists to sit and take in the breadth of the city and reflect on all that it has to offer. 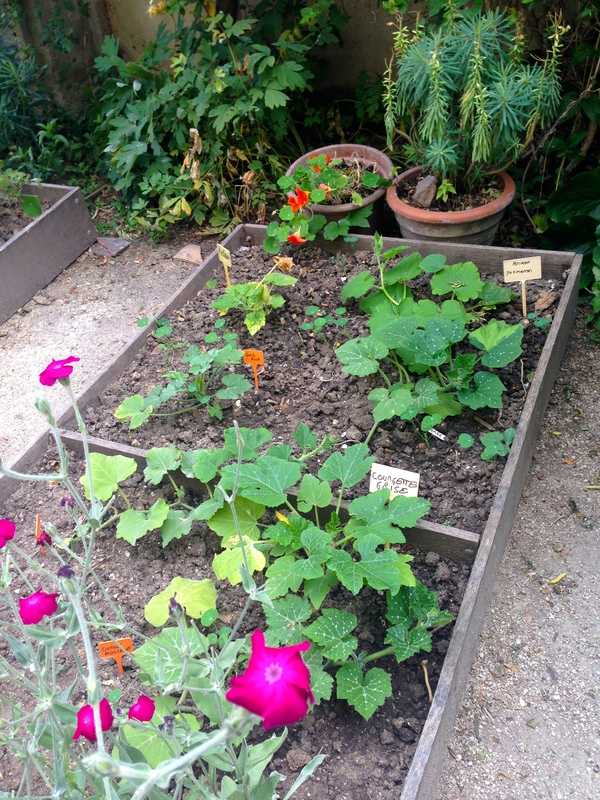 But there are also smaller, almost hidden gardens that once discovered provide insight into a cultural movement in Paris to renew past traditions spurred by the American/New York focus on farm to table dining, sustainability and urban gardening. 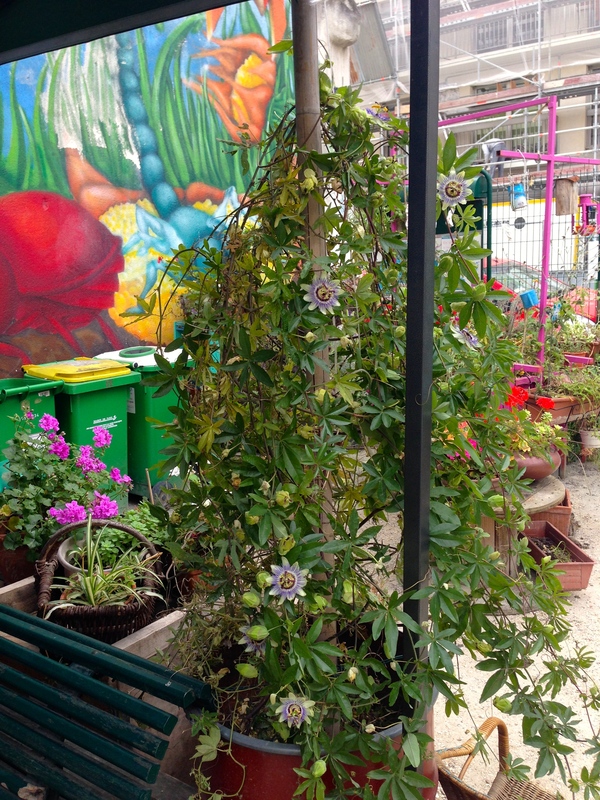 Little pockets of Paris are now devoted to transforming vacant properties into green spaces. 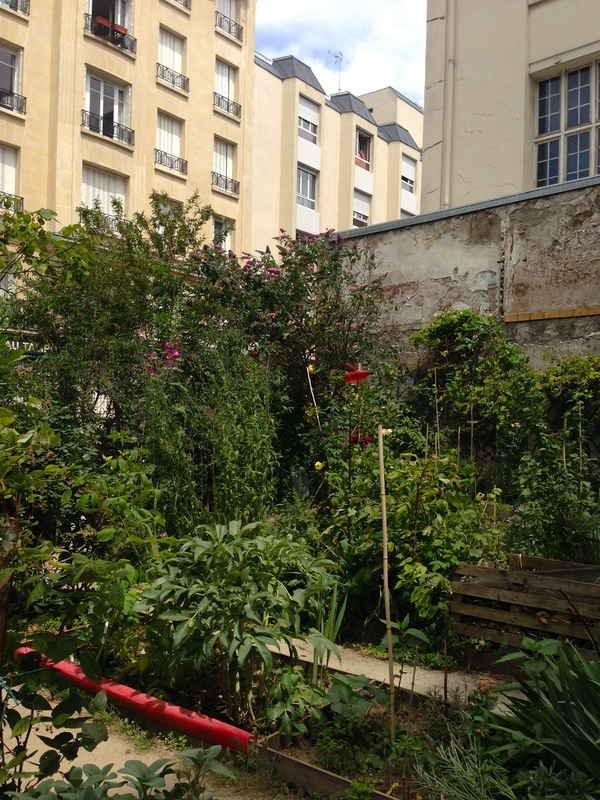 With aid from the French government, the Jardins Partages — or shared gardens – were started in the 1980s and patterned after those started on the LES of NYC in the 1970s and the post-war Victory Gardens. 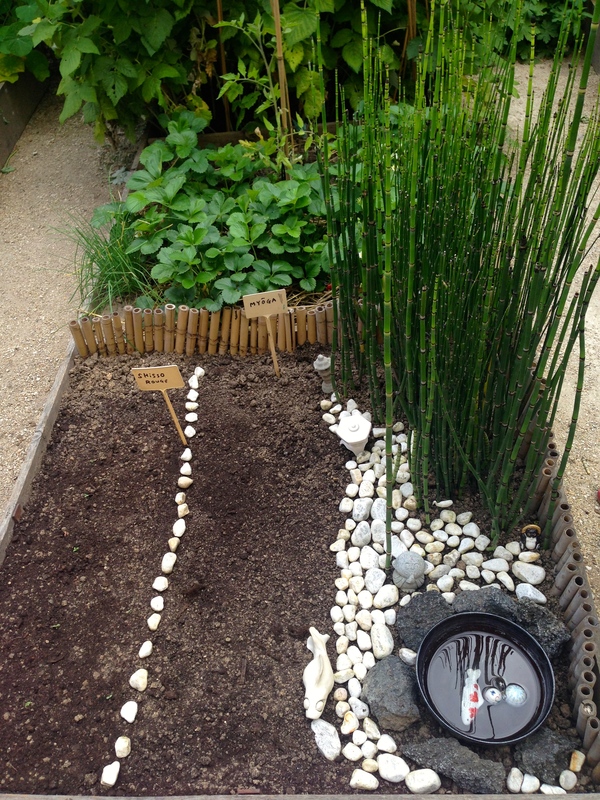 Since 2003, the Jardins Partages has been known in Paris as the Main Verte – (similar to our concept of Green Thumb started in 1978). It has based itself off the American commitment to maintaining green space within the less-traveled parts of the cities. 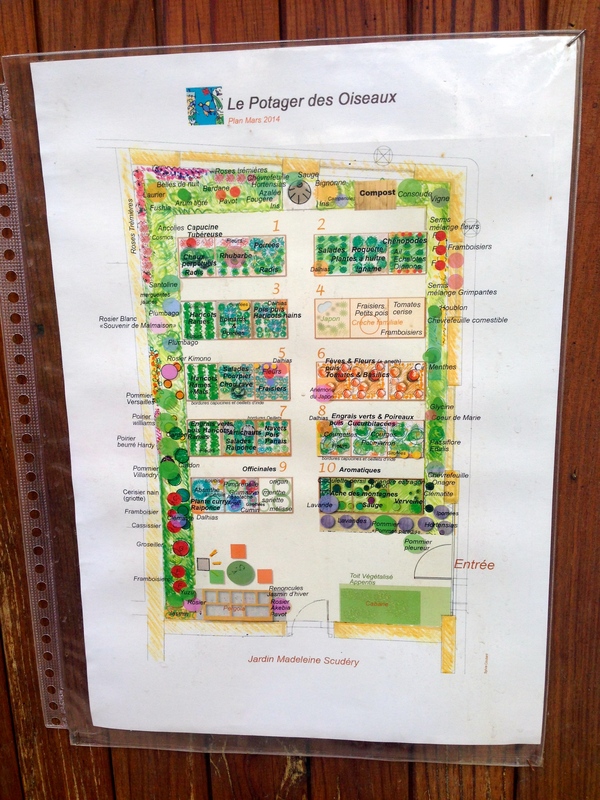 While the gardens are publicly accessible, this isn’t where you go to find fresh produce or flowers. 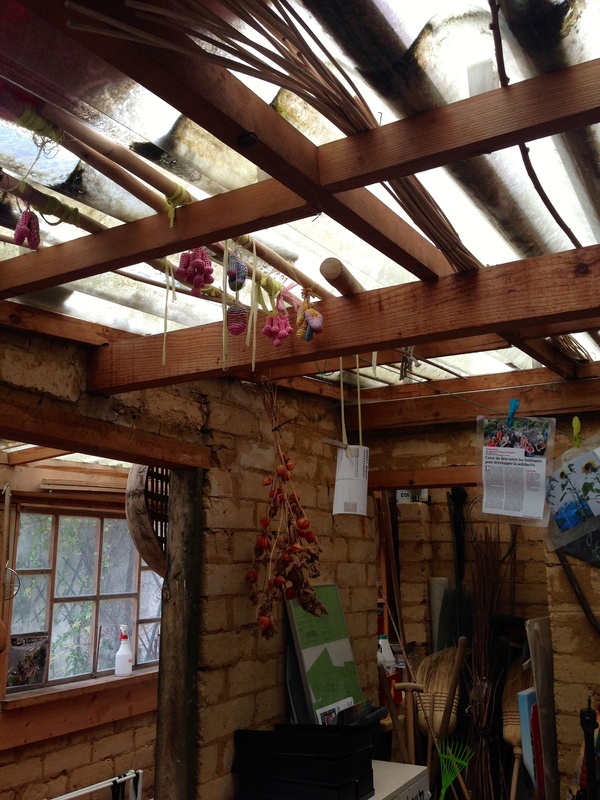 These are smaller scale, community-supported open areas that fill vacant spaces. And they must be open at least 2 days a week. The support for these spaces has increased exponentially, especially where private outdoor space is hard to come by (just like in NYC). There seem to be far more interested in participating than garden space available. At least for now. 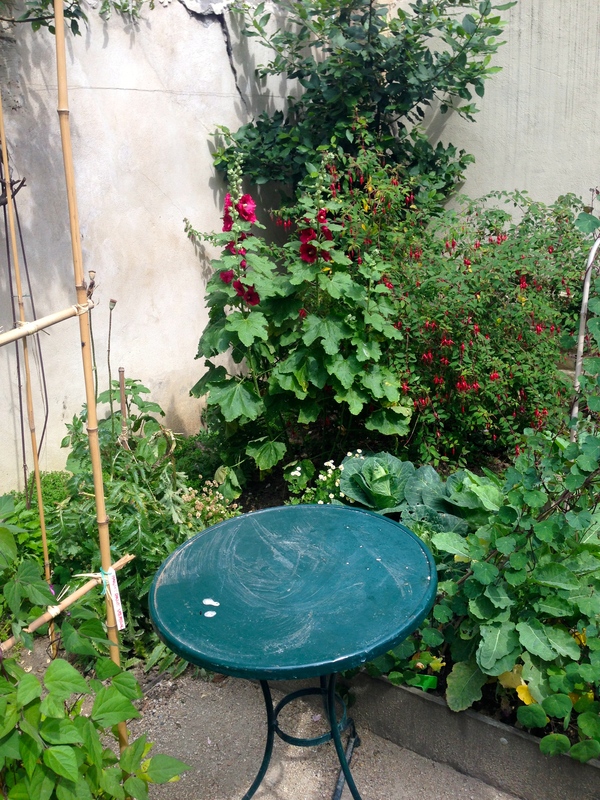 The good news is that in just 10 years, the number of gardens has grown to 150 – and they even show up on Google maps! So how does it work? It’s truly communal. Each gardener has his/her own space, some gardens are more planned than others, and they certainly reflect the area of the city where they are located. The first garden was the Jardin Nomade – so named so that it could be transported if the project lost the ability to maintain a garden in the space. The gardens reflect the personalities of the people in the community. 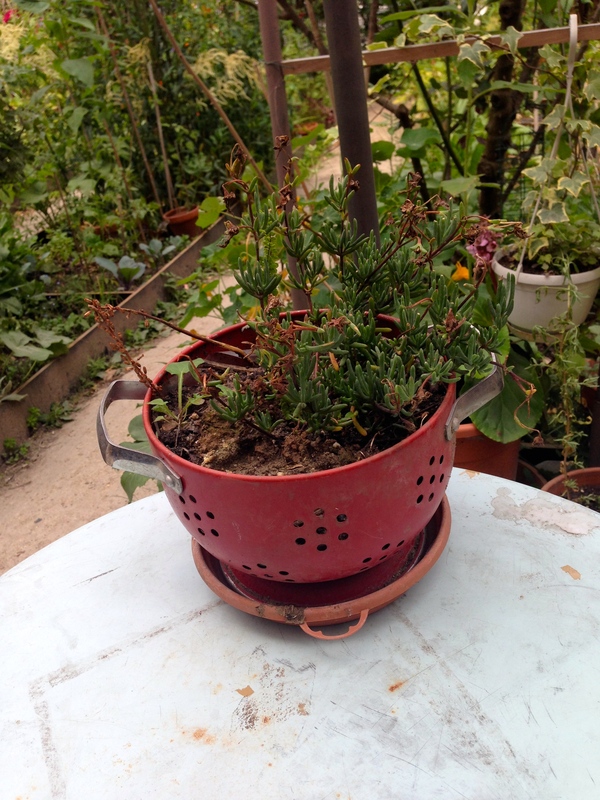 The Jardin Nomade is in a less well-to-do area that used to be occupied by furniture workers. 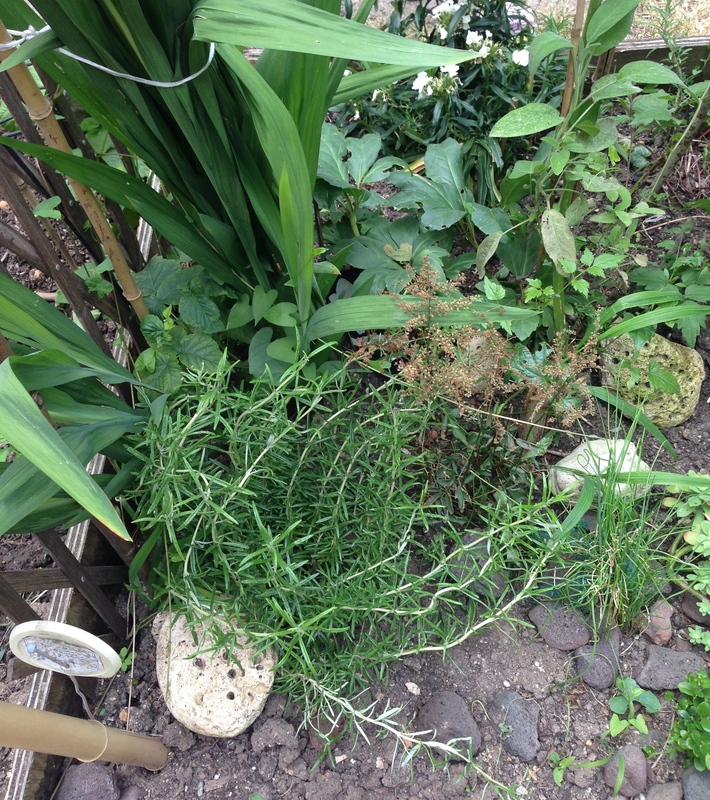 Its little plots tend to have many of the same flowers and herbs being grown. 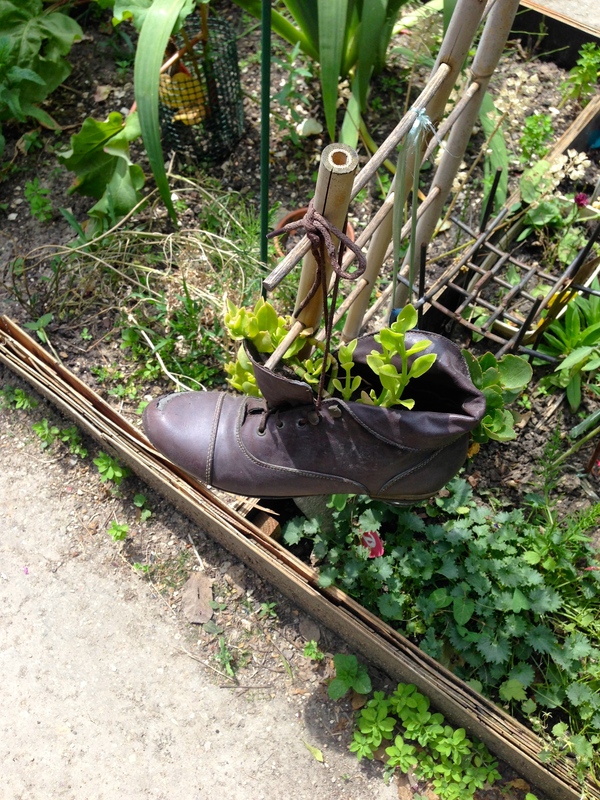 The gardeners have a sense of humor and make use of abandoned materials to accent the space. They make use of kitchenware too. 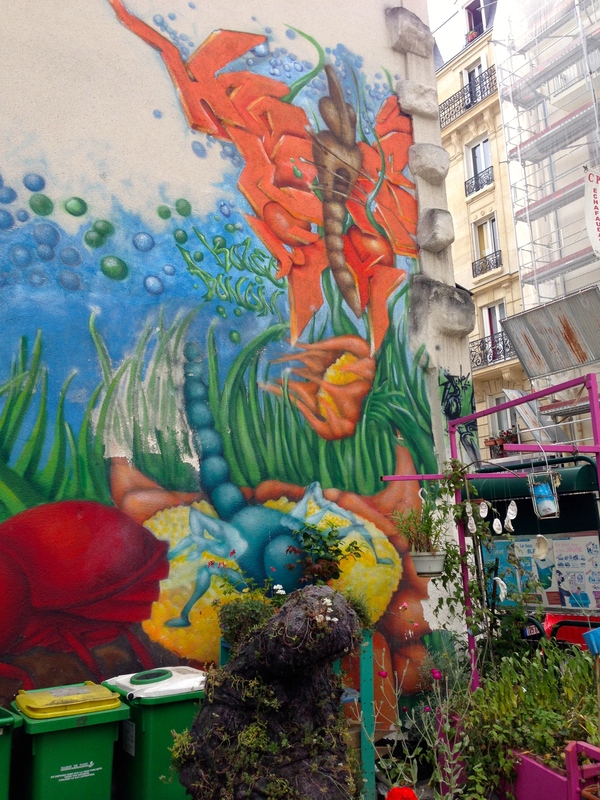 And a mural painted on the wall that reflects the impact of the garden on the neighborhood. A small structure was constructed onsite (including the blocks) to provide shelter and storage space. 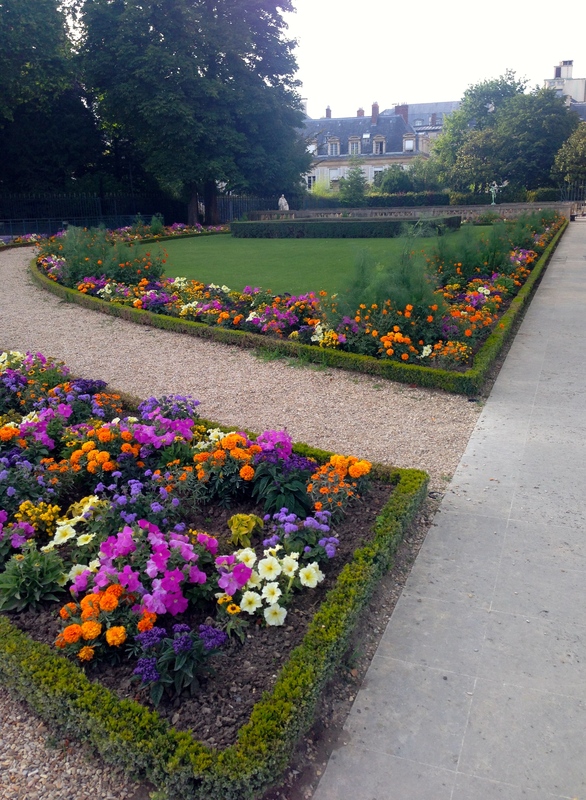 This garden is more laid back in contrast to Jardin Oiseaux, which is located in a more affluent area located adjacent to the Marche des Enfants Rouges. A graphic designer is a member, so she came up with this plan for the layout. There’s even an Asian section. 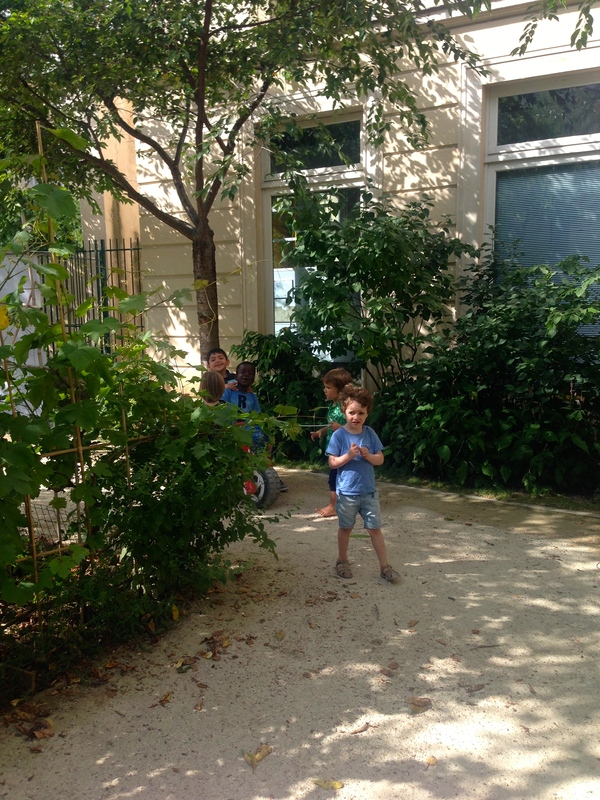 Finally, we visited the Jardin Anne Frank occupies a small space within a larger garden where the neighborhood kids play. 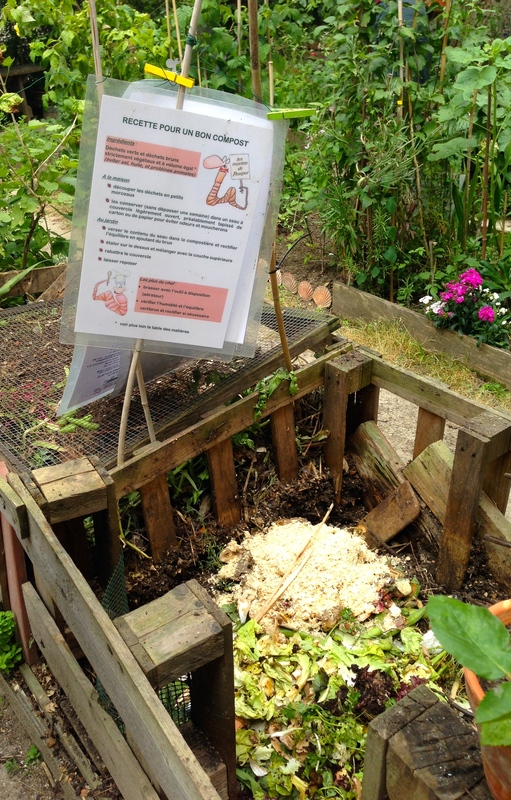 This one was more of a group effort with a focus on planting vegetables. 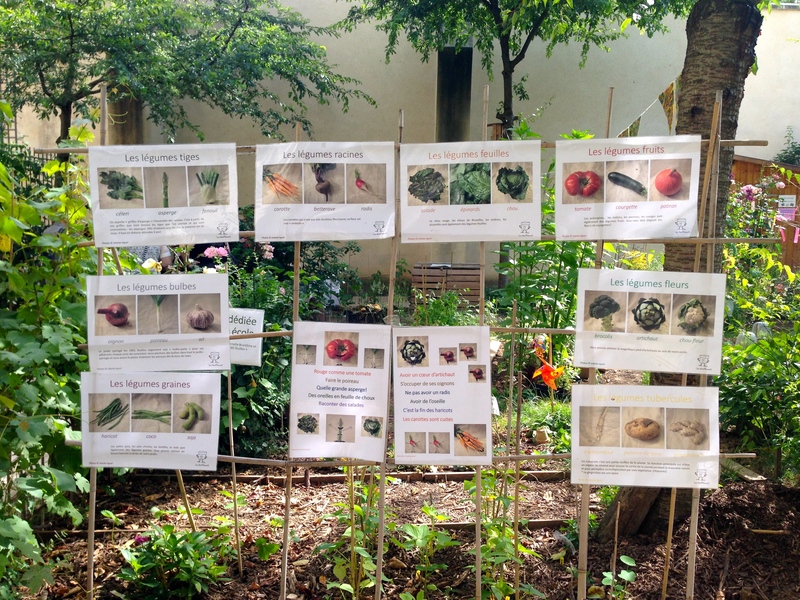 Since this is a community-supported effort and Parisians love a good party, you can be sure that the gardens play host to many teas, dinners and drinks throughout the year.